How is life on Orkney Island? The Orkney islands are a great place to live. A beautiful landscape, super clean air and very long summers. People have a great lifestyle on the northern isles. Highland Park gives some of its products a Viking theme, naming a selection after famous historical figures from Viking history. Is this only because of the Nordic history of the Orkney islands, or is there something you particularly admire about the Vikings and the individuals after which you name some of your products? It is both. We have a fascinating Nordic history on the islands. Our distillery was set up by a man called Magnus Eunson. He was a famous smuggler on Orkney. He does not have the typical whisky smugglers name. Even today, you are very likely to meet people with Nordic names. Can you give us an idea of a typical day in the Highland Park distillery? We run the largest floor malting’s in the malt whisky industry. This is a lot of work. We can shift 30 tonnes of barley in one day. We also fill our casks on-site and store in our 19 dunnage and 4 racked warehouses. This is a very hands on distillery, when you come over, you can see for yourself. With so many whisky distilleries in Scotland, what do you think makes Highland Park stand out? The finest Sherry seasoned casks, gentle smoke from our tree-less peat and of course The Orkney Islands. The balance of flavour is completely unique to Highland Park; gentle smoke and sherry cask sweetness. 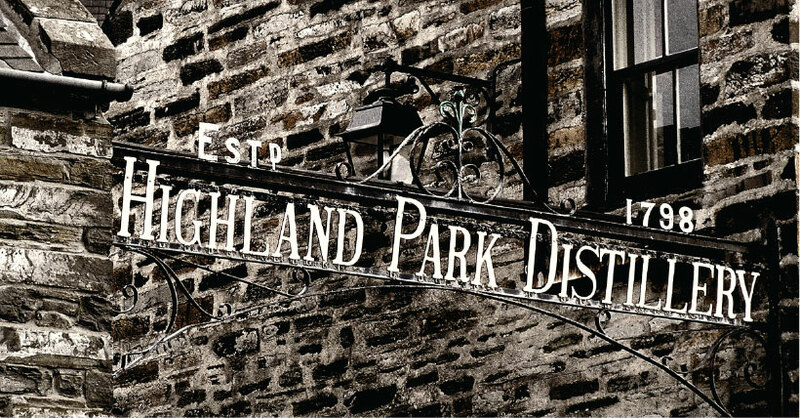 Do you think that Highland Park has a distinctive taste and character? What do you think makes it distinctive? Do you think Highland Park has a signature style or character in its core range? Yes, Highland Park has a distinctive character, the balance of smoke and sweetness is the key. On Orkney we have no trees due to high winds; 4000 years ago this was still the case. Our peat therefore contains very little wood. When we use this peat to fuel our kilns, we get a very gentle peat smoke. Think of Highland Park like a good Jazz track. This smoke is the bass-line. It is always there in the background. Then we have the sherry casks…The flavours from the cask are the melody. Acheving the balance of these two will give you track you can never forget. Highland Park 18yo is perfection for us. In addition to its core range, Highland Park offers a number of whisky expressions – the Warrior Series and other Travel Retail offerings, Orcadian Vintage Series, Valhalla Collection, Earl Magnus Editions, Ambassador Casks and a large number of special bottlings. Why does Highland Park offer so many whiskies? Can you name two or three that stand out as being most different to the theme or character of the core range? If so, which whiskies would you say are most different to the core range and why? The Valhalla collection stands out the most for me. I love these whiskies. They have been created to reflect the character of the Norse gods. Thor was straight talking and powerful, 52.1%abv and not too complex. Loki was devious and very complex. This is the only Highland park you will taste that uses mainland peat. This gives a totally different smoke profile, very fitting for Loki. Freya is light and beautiful with a slightly dark smoky side. This range has been great to work on and has been a great way for us to celebrate our Nordic heritage. Do you think whisky age statements are important? Why? Not really, I think it’s a rough guide. It gives no indication of cask quality. If you age in a low quality cask for 50 years you will have a low quality 50 year old whisky. For me its all about flavour and story…that is the same when choosing a good Rum, Cognac or Tequila. How does Highland Park select and prepare casks which will be used to mature whisky? Olorosso seasoned casks only. We dry the wood for 4 years, Our coopers create the casks in Spain and then season in sherry bodegas with Olorosso sherry. These are new sherry casks and not ‘Bodega casks’ This gives us our colour, flavour and aroma. It’s an amazing process. Are you able to share some of Highland Park’s future plans with us? Do you have any new releases or series? Can you tell us more about this? We have lots coming up. We have the next Valhalla whisky being released in 2015. We have collaborated with Linn audio recently and paired whiskies with music. That was a lot of fun. We have also played with cocktails recently too. I have attached a couple of links for you to have a look at. Its me making the drinks. Thank you very much for Daryl Haldane, Global Brand Ambassador for Highland Park, for his time in answering these questions! This entry was posted in Media and events. Bookmark the permalink.